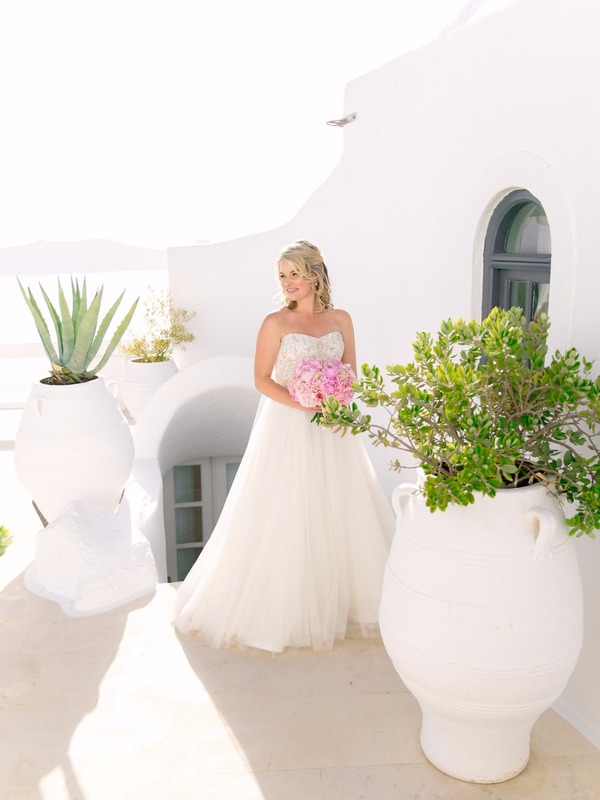 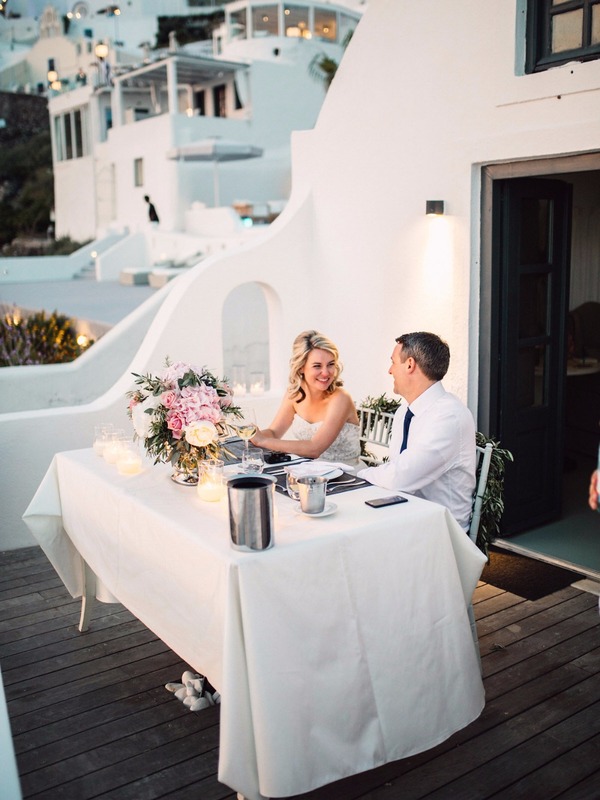 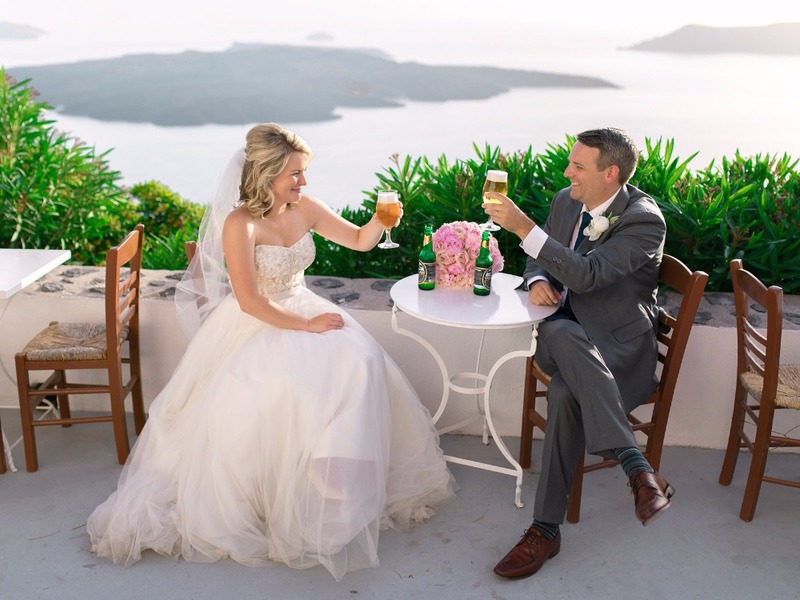 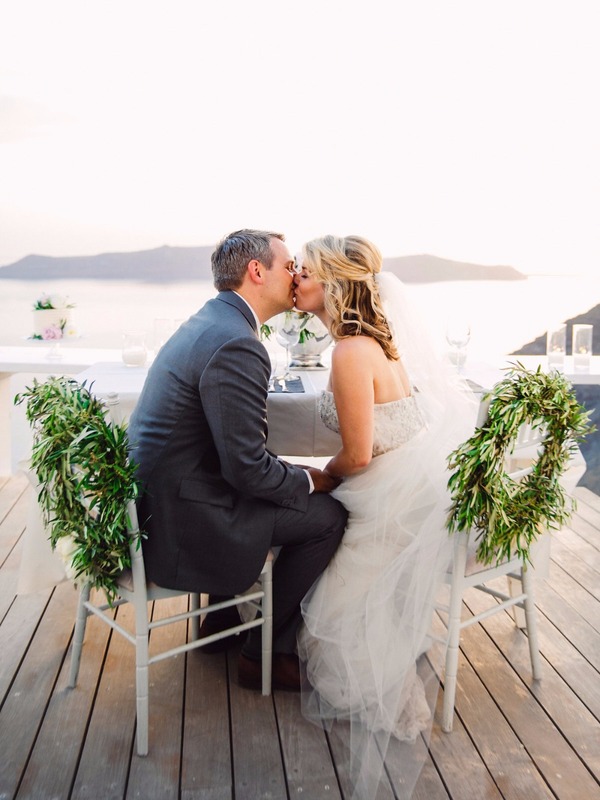 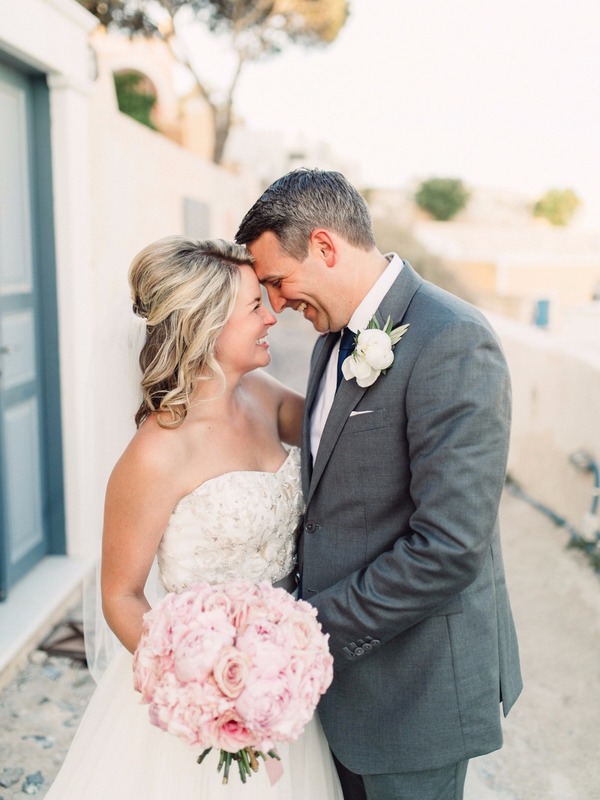 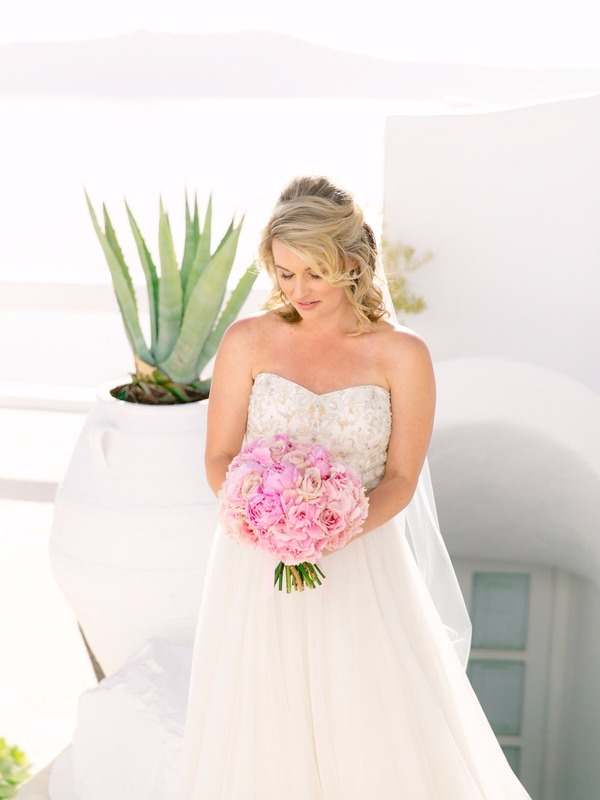 Katie and Brian had one dreamy and intimate seaside elopement at the Sun Rocks Boutique in Santorini, Greece. 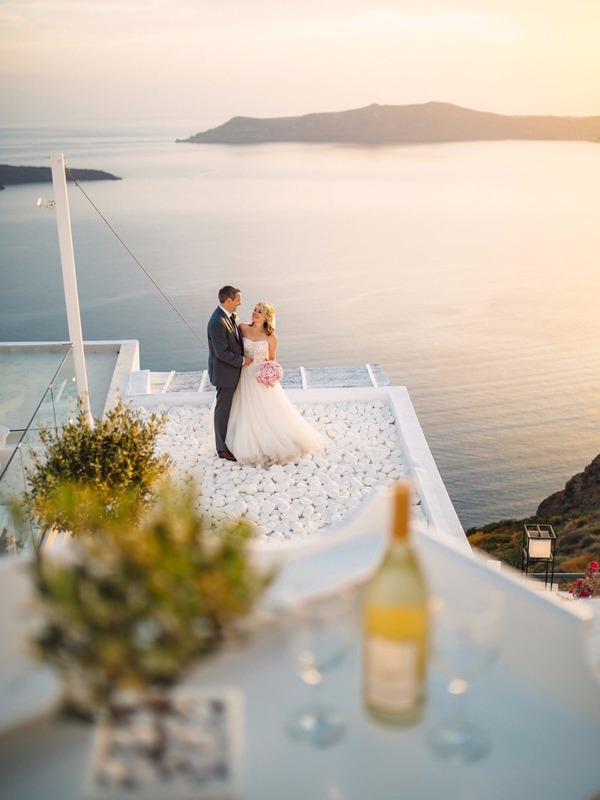 Incredible views as far as the eye can see truly makes this an exquisite location for destination weddings and elopements alike. 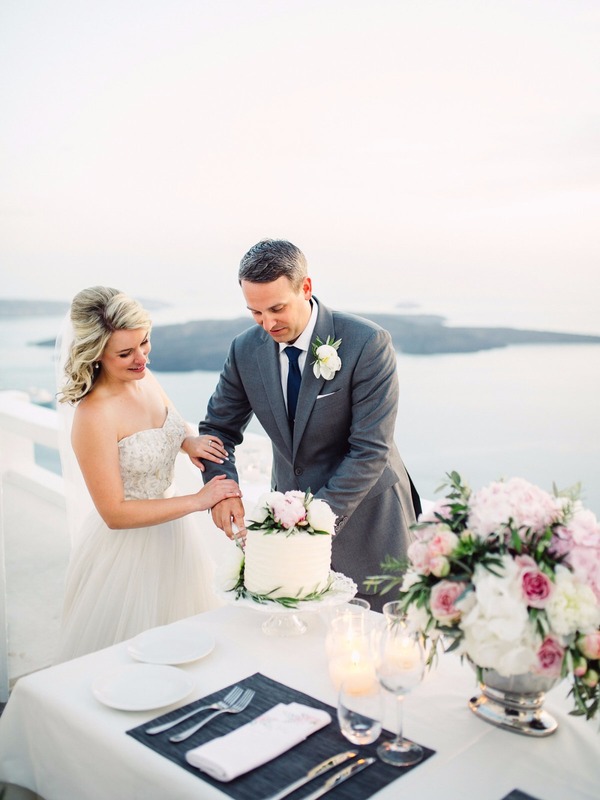 Stella & Moscha Weddings styled this gorgeous elopement and kept it intimate and elegant for the lovely couple. 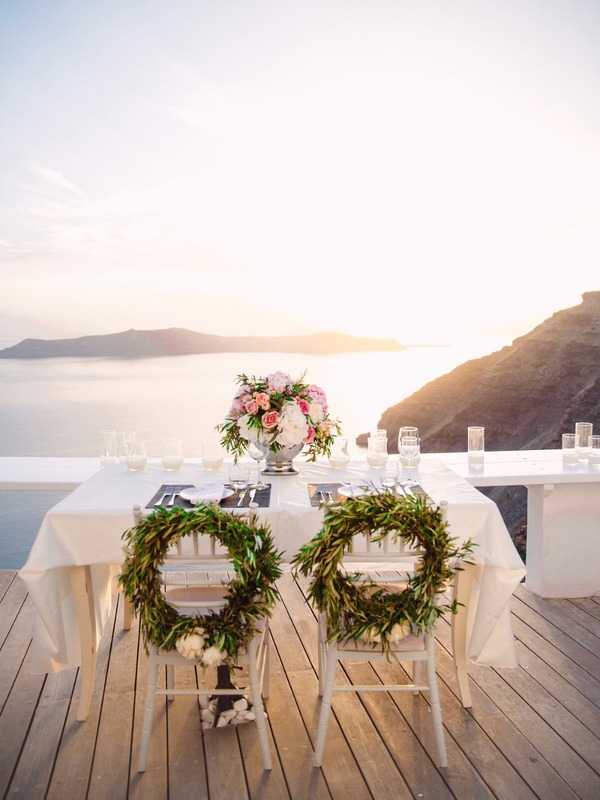 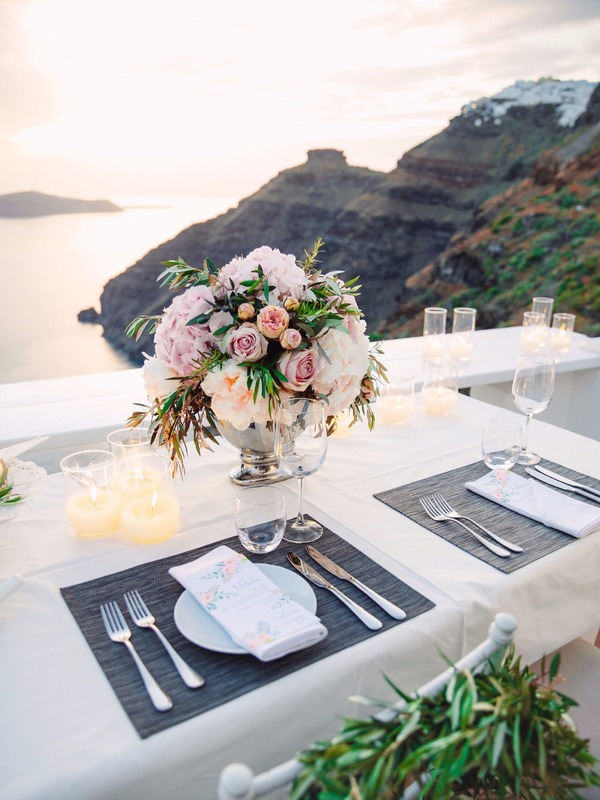 A romantic dinner for two on their private balcony overlooking the Aegean Sea was the perfect ending to their picture perfect day captured by the talented Sotiris Tsakanikas. 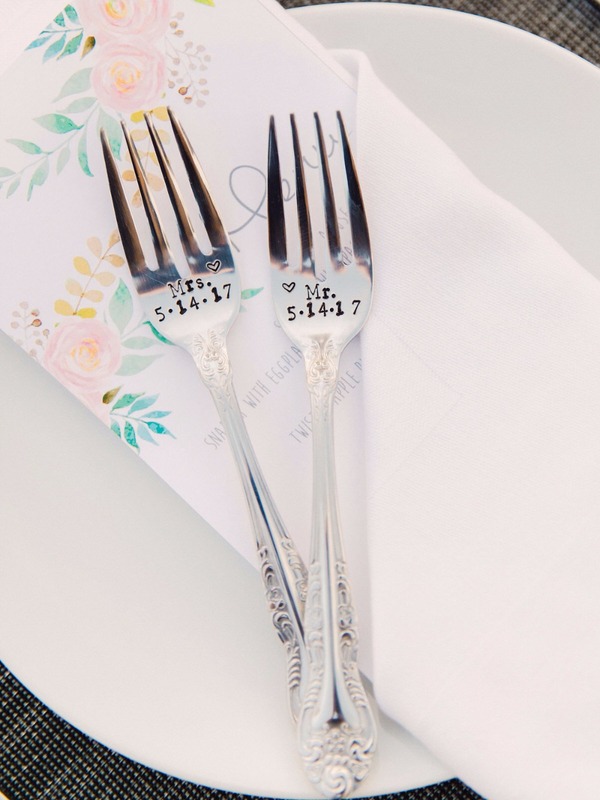 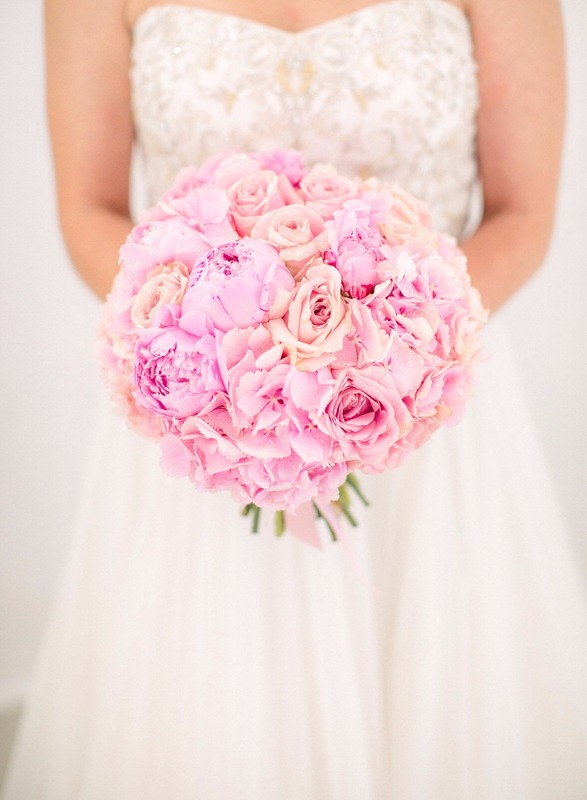 Find more eye-catching details in the full gallery, and be sure to pin your faves! 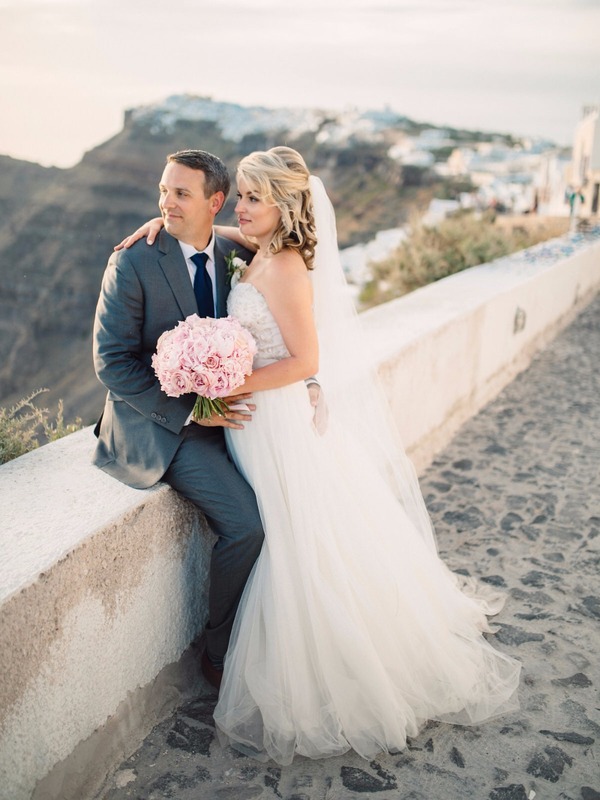 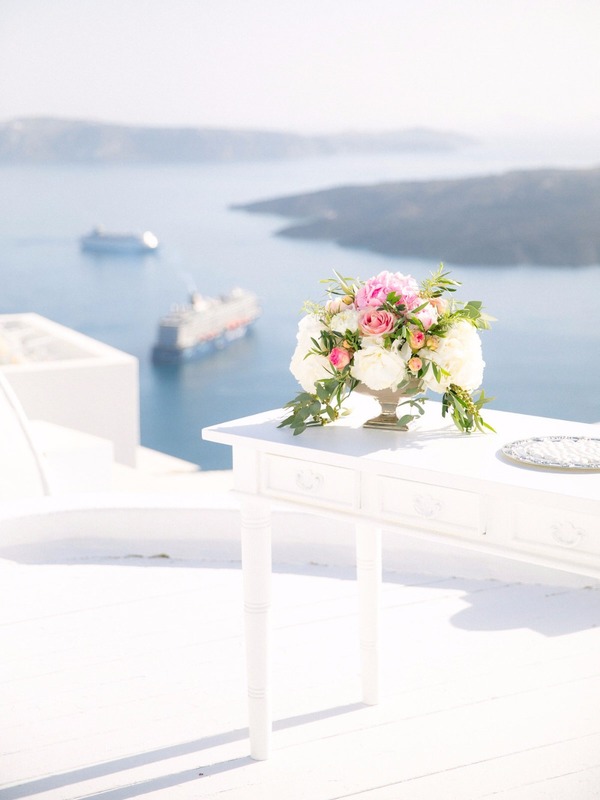 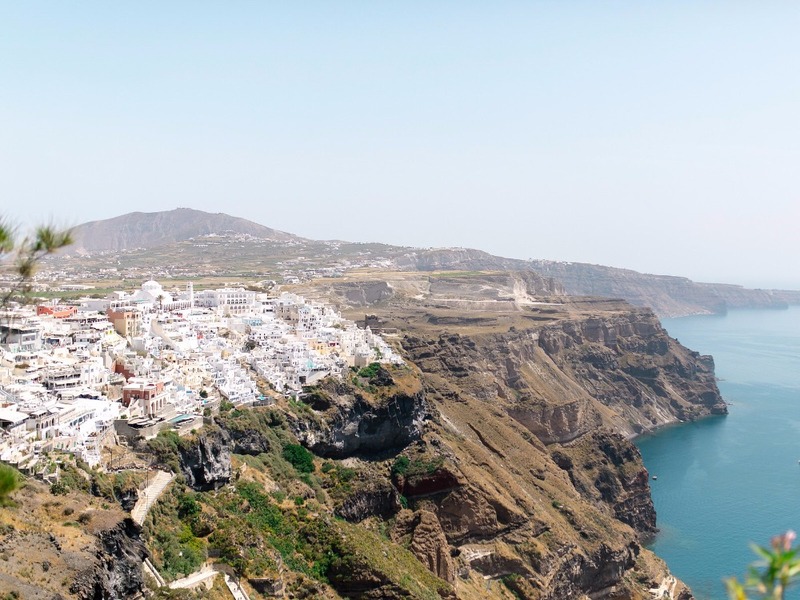 From Sotiris Tsakanikas: Soaring a few hundred meters from the sun-dappled caldera, Santorini revealed itself to me and my amazing couple, Katie and Brian, like an ocean of pearls glowing on the surf of the azure Aegean Sea. 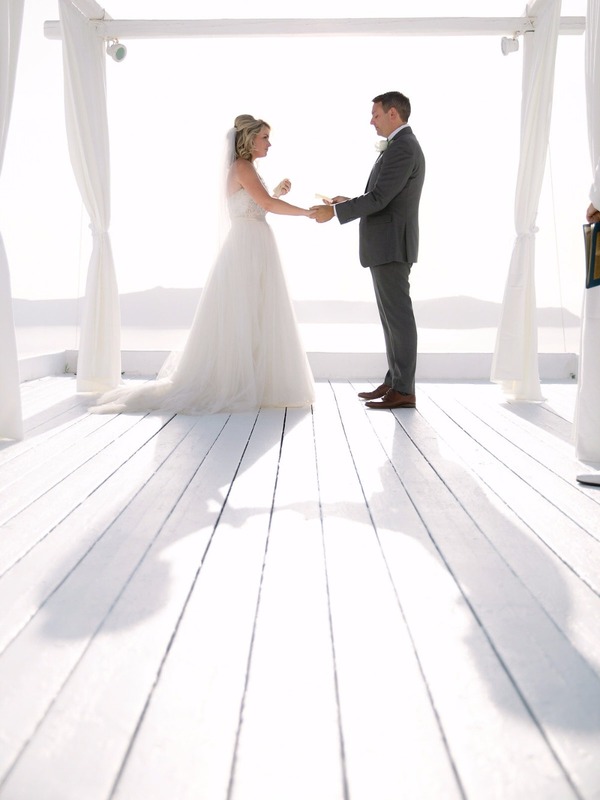 Any tangle of anticipation was decisively scooped soon as we witnessed the milky sweet light descending upon its turquoise wooden doors, sage gateways, and pebble-grey aisles. 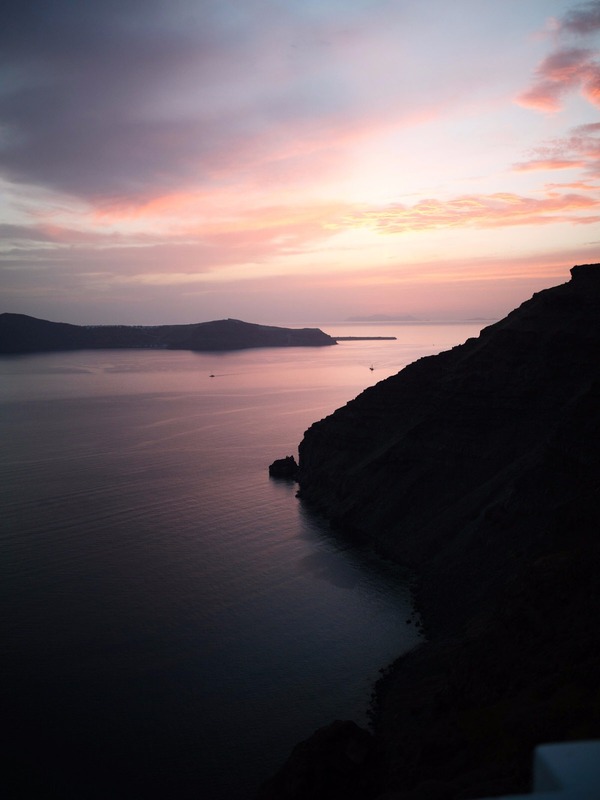 So much peace and calm as far as the eye can reach. 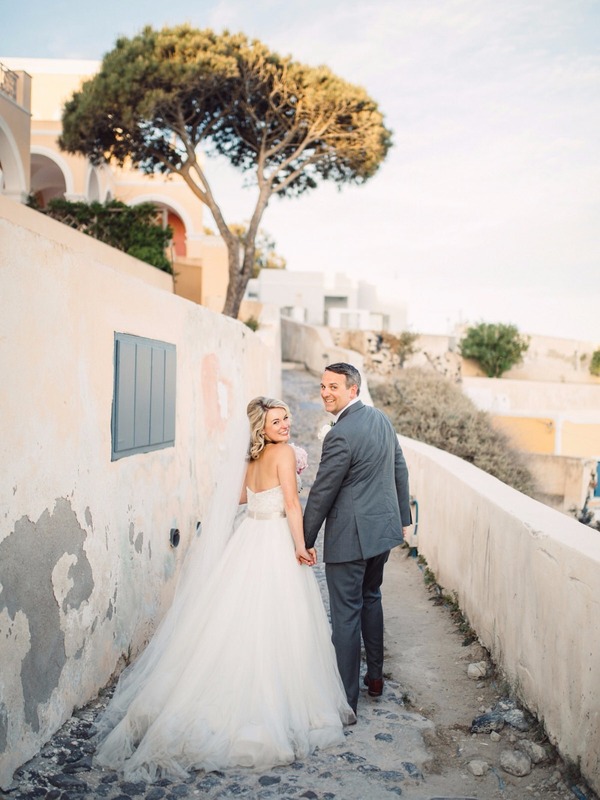 The isle's winding paths led us through the unspoiled layered-cake adobes, the mild breeze smelled of thyme and aloe gently blooming inside starch white reclaimed wine urns, and I couldn't feel but tremendously blessed with these two. 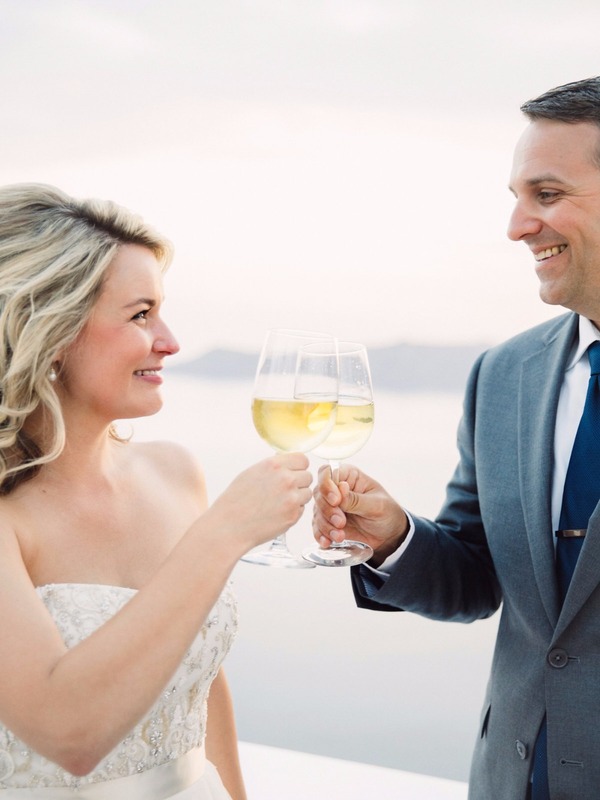 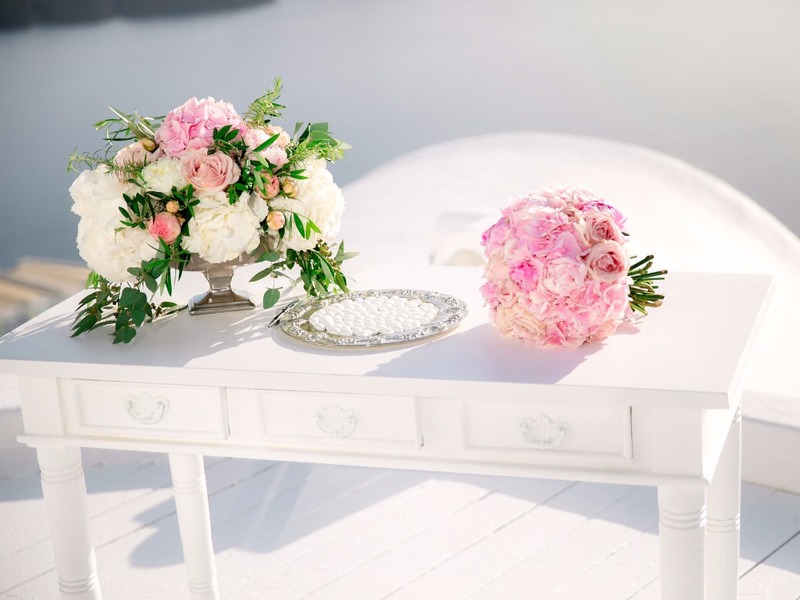 Everything fell right into place in this chic destination elopement. 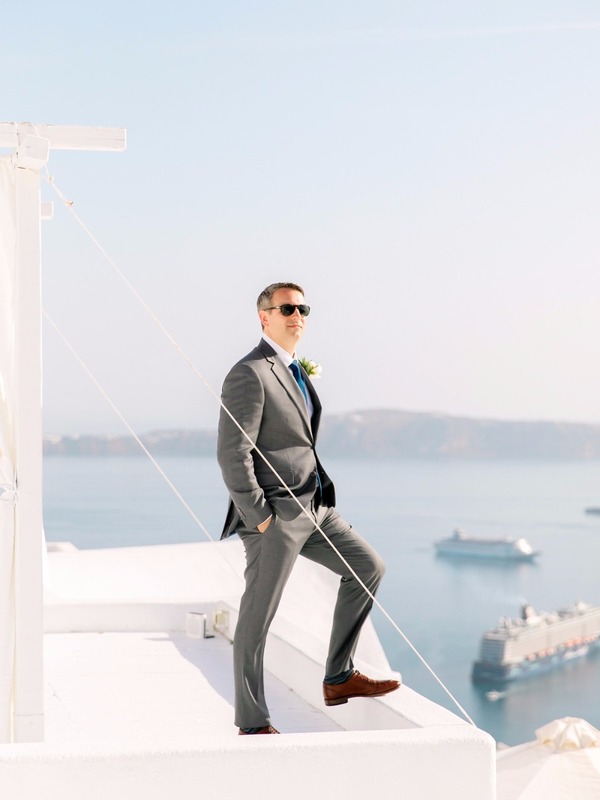 Each one of their details was effortlessly elegant, from the beautiful bride's moments of prep (she couldn't go wrong in monogrammed silk) to the perfect amount of intimate wedding decor, affirming there is so much that graceful people like Katie and Brian can do with the assistance of an amazingly creative design team such as Stella & Moscha. 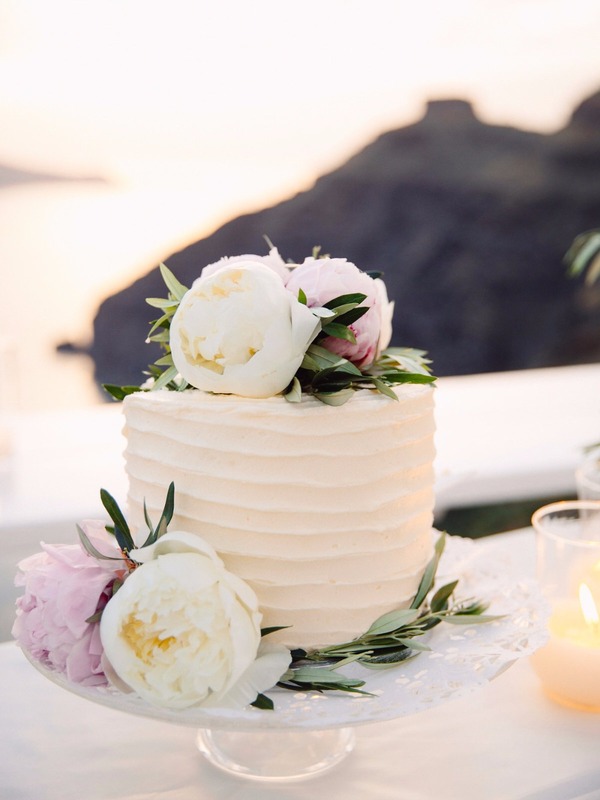 Grandeur may be often well exhibited in amplitude, but this clean and quiet take on the couple's organic penchant had splendor revised. 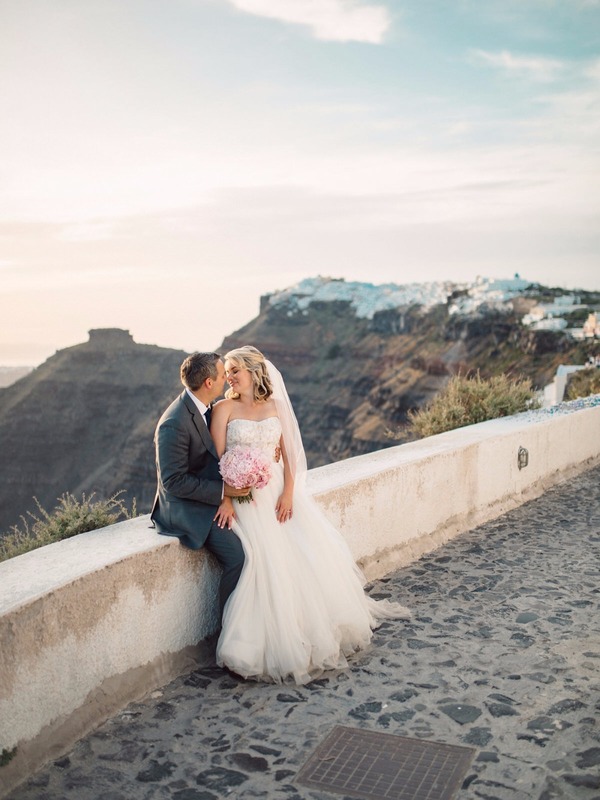 Calling to mind all our moments together and Katie's honest tears of joy, I can only feel overly honored to witness how a couple decided to travel to this blessed isle to intimately celebrate their love.